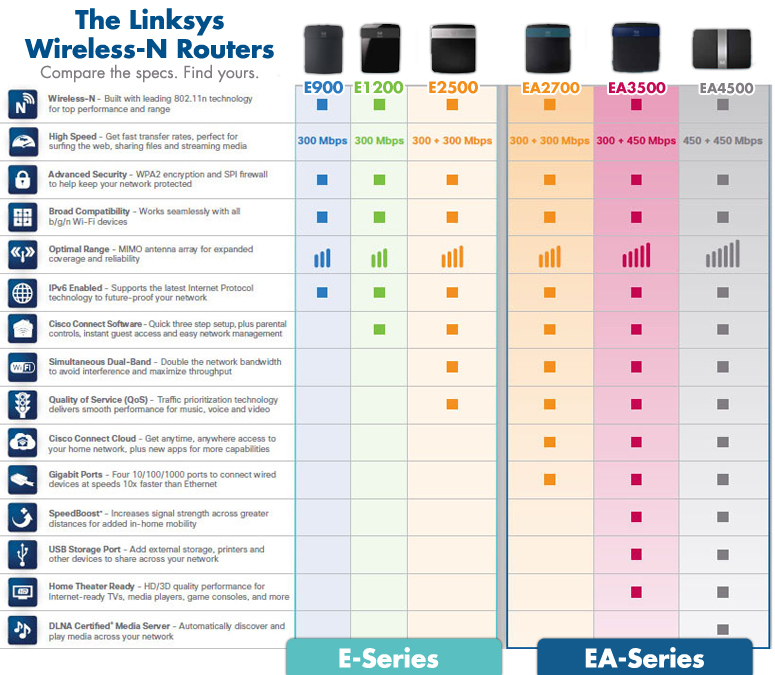 The Linksys E1200 offers fast speed and reliable range so you can create a powerful wireless home network. Connect computers, wireless printers, and other Wi-Fi devices at speeds up to 300 Mbps. MIMO antenna technology provides broad wireless coverage throughout your home. WPA/WPA2 encryption and SPI firewall help keep your network protected. Included Cisco Connect software gets you set up in three easy steps and offers powerful tools for ongoing management of your network. Establish a separate guest network, limit Internet access using Parental Controls and access advanced settings. Cisco Connect software helps you set up your home wireless network in three easy steps.